NAV appreciates being recognized for these achievements in the fund administration space which reflects upon the expertise and dedication of our global team. These awards are given to hedge fund service providers in recognition of outstanding work during the past year. Nominees are selected by industry professionals and determined in conjunction with in-house research. 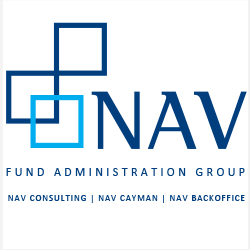 NAV Fund Administration Group (“NAV”) is a fund administrator with over 25 years of experience in providing a comprehensive fund service offering including, accounting, reporting, investor servicing, and middle and back-office support to the hedge fund industry. NAV is ranked among the top 10 fund administrators in the world. With assets under administration of US$56 billion, NAV employs 460 people that serve a global client base of over 750 clients. NAV is differentiated in the industry by its independence, proprietary technology and client retention. For more information, please visit http://www.navconsulting.net.